Rosberg, by contrast, was a little more tentative in his approach to the first section of qualifying, trailing his rival by around one second. 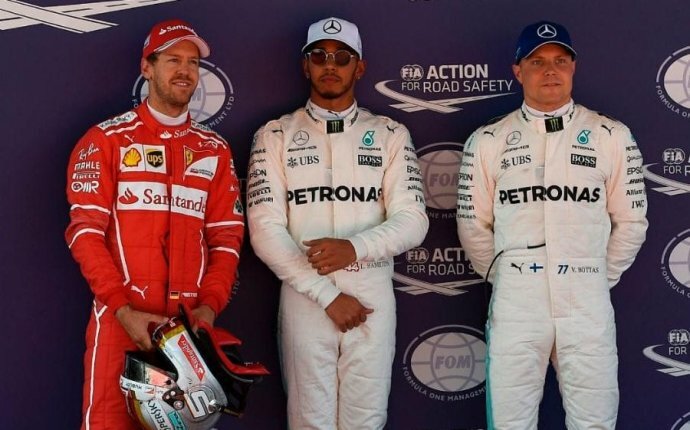 "I had two mistakes in there, " the German advised his engineer, per BBC Sport, as he was only the fifth fastest man on track. In Q2, Rosberg was a lot more assertive in his driving and was quicker than Hamilton through the first two sectors. He eventually came up a tenth shy of his team-mate, although there were signs of a potentially fascinating shootout for pole position in the final stages. After that pair of searing laps, attention turned to the drivers trying to make into the top 10 scuffle. Jenson Button, in what will be his last-ever F1 appearance, failed to make it through in the McLaren, although Williams' Felipe Massa progressed in what's set to be his final grand prix. The tension was palpable as the drivers geared up for the final part of qualifying given what was at stake. On the opening runs, Hamilton was first to post a time and set a stunning benchmark with a 1:39.013; although Rosberg was again quicker in the first sector, he came up three-tenths short of his team-mate. Meanwhile, both Ferrari and Red Bull drivers were separated by just four-tenths between third and sixth. It meant Rosberg had a significant gap to make up if he wanted to start the finale on pole. And while the German did get a little closer with his second lap, Hamilton improved again to take his fourth pole in succession. In the scrap for third, Ricciardo produced a sensational effort with his last lap to oust Raikkonen; Verstappen will start in sixth behind Vettel after he ran wide at Turn 11 on his last effort. In the early exchanges, both Hamilton and Rosberg opted for the supersoft tyre compound, which is a little slower than the ultrasoft. Subsequently, the gap between the Mercedes men and the rest of the field wasn't so wide. Meanwhile, there was a brief scare for Hamilton during FP3 as he complained of a loss of power in his Mercedes. However, he was advised by his engineer "it looks like it was just an unexpected D-rate, " per BBC Sport. Rosberg was out first on the fastest tyre and did go to the top of the timesheet. But Hamilton, as he has done throughout the course of the practice sessions, was able to find an edge; a poor middle section from the German opened the door for his team-mate. Vettel wasn't done quite yet, though. The Ferrari man emerged on a fresh set of ultrasoft tyres for a qualification simulation lap and was the first man to dip below the 1:41 mark, moving to the top of standings in the process.